With $16 billion in 1,700 ongoing technical cooperation projects, and more than 19,000 staff working in 130 countries, GIZ is one of the world’s biggest technical cooperation implementing agencies. This article reviews the GIZ role in German international development assistance and, GIZ policies on Results-Based Management, Monitoring and Evaluation. 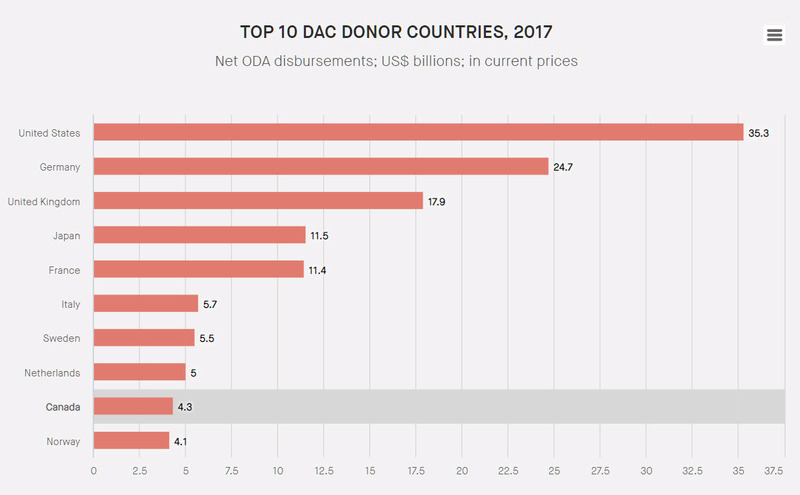 According to Donor Tracker in 2017 Germany was the second largest donor for international development assistance in gross amounts disbursed. 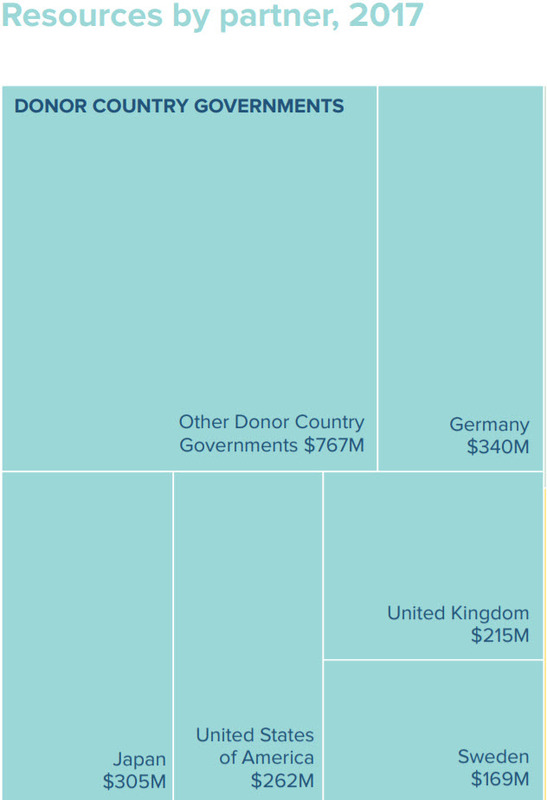 Even given the fact that the $ 24.7 billion budget for international assistance included roughly $6 billion for refugee related expenditures, this still makes Germany in gross terms the biggest donor in Europe, and the second biggest in the world. 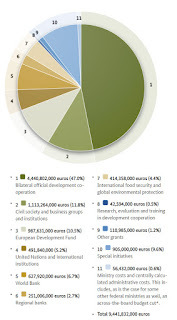 It ranked 6th in Europe in terms of % of GNI contributed. 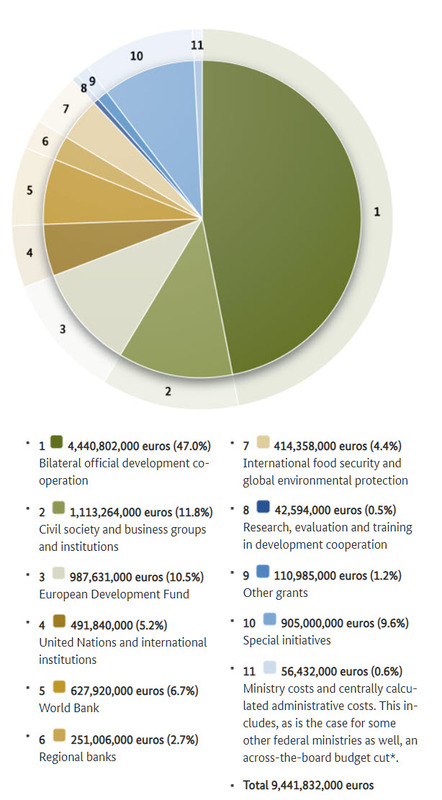 Germany is also the largest contributor to the European Development Fund, the largest component of EU-administered development assistance. The two largest components of this development assistance are managed by KfW Development Bank and its subsidiary DEG, the German Investment Corporation and BMZ – the Ministry of Economic Cooperation and Development. 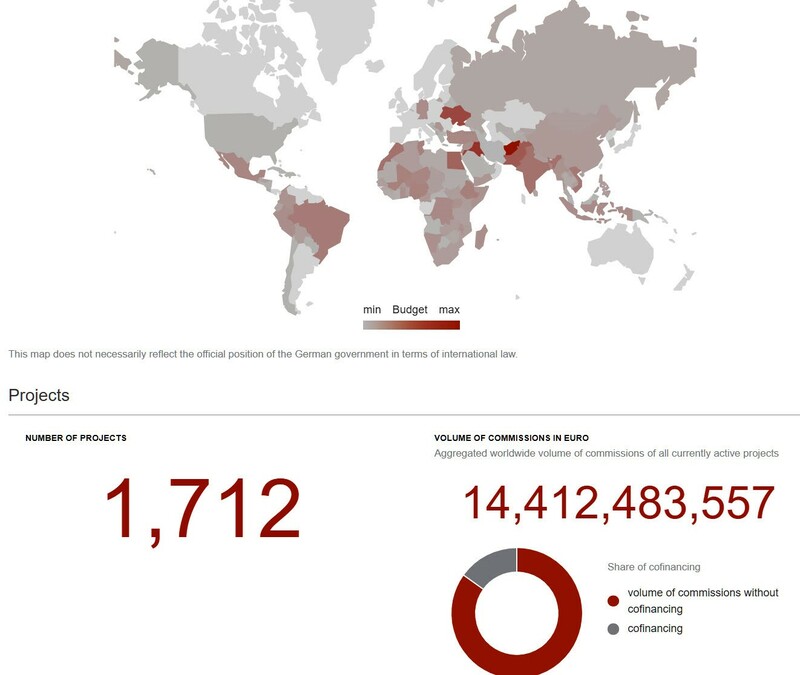 While much of this German ODA was managed by KfW Development Bank, and other government Ministries, BMZ - The Federal Ministry of Economic Cooperation and Development, administered the largest portion of the budget -roughly 37% of the ODA budget in 2017, and that was predicted to rise to 49% ( $10.7 billion) in 2018. The largest component of the BMZ aid budget in 2018 was allocated to bilateral development cooperation. also provided to a wide range of United Nations agencies. 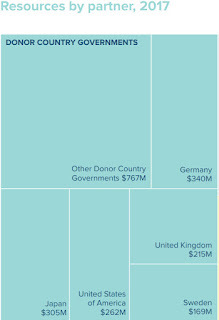 Germany is, for example, the largest government contributor to the UNDP. And Germany supported close to 2,000 UNDP projects through UNDP regular resources and another 113 UNDP projects directly in 2017. 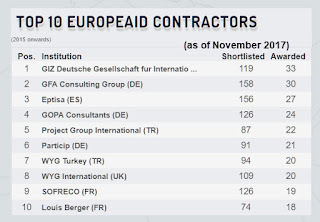 GIZ, as an implementing agency itself received roughly 2.6 billion Euros (close to $3 billion) in 2017, roughly 2.5 billion coming from BMZ and other German ministries, the rest from organizations such as the European Union, U.N. agencies, foundations or private sector companies, for the implementation of technical cooperation activities and between 2015-2017 was the largest recipient of Europeaid contracts, and although no longer the single largest recipient in January 2019 remained in the top 3. 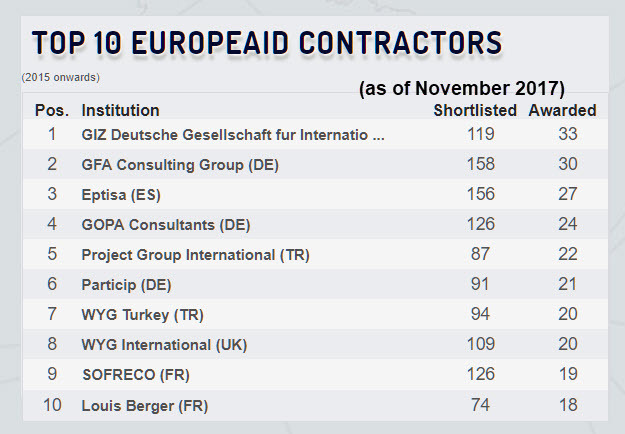 Over the past 5 years GIZ has been awarded 218 EuropeAid contracts worth roughly $450 million. 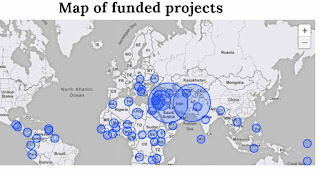 There was a time when the aid agencies of the world – USAID, CIDA, DFID, AusAid and others actually implemented their own aid programmes, but for the past 30 years, turning policy into practice has been farmed out to private or public organizations, U.N. agencies, consulting companies or foundations specifically, contracted to manage projects. 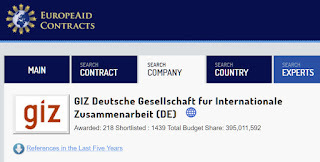 The Deutsche Gesellchaft für Internationale Zusammenarbeit (GIZ) is responsible for technical cooperation with Germany’s partner countries, for preparing and sending out development workers, and for human resources development and further training. 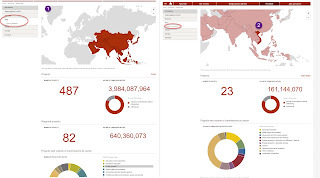 A good case could be made that GIZ is in terms of its internationally based staff, the largest technical cooperation agency in the world, and the second largest in terms of the number and value of the projects it is managing. GIZ itself had an income of 2.6 billion Euros, or close to $3 billion for technical assistance projects in 2017, as noted above. 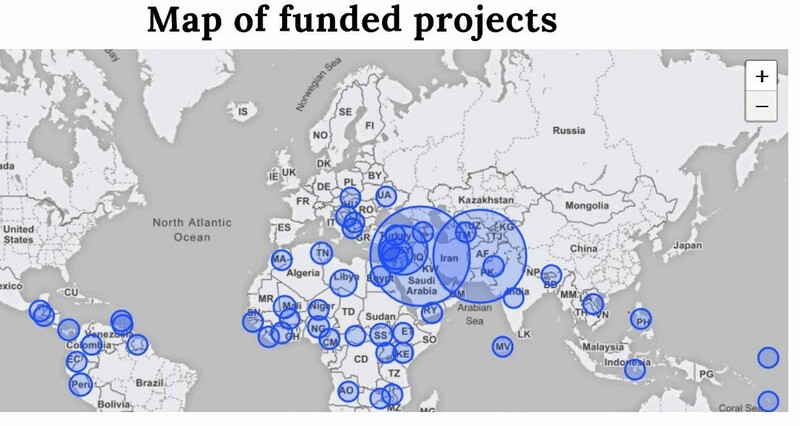 But this pales in comparison to the total value of GIZ currently active projects in 2019 – 14.4 billion Euros or approximately $16 .5 billion in over 1,700 projects in 130 countries. 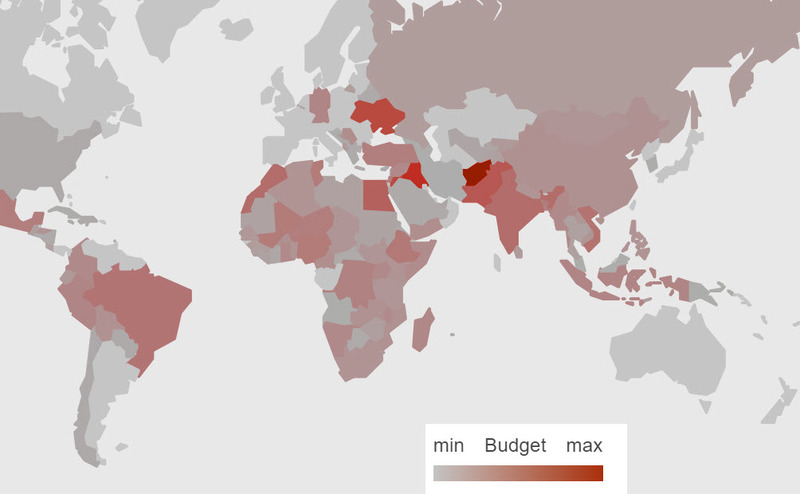 UNDP in 2017 had a bigger annual budget - $4.6 billion – for 4,500 projects in 170 countries, but there is no easily available information on the total value of its ongoing projects. GIZ has office in 130 countries outside of Germany, and as of 31 December 2017, GIZ had a total of 19,506 staff, 57% of whom were women.. Of these, 3,753 were working in Germany and 2,305 were employees seconded abroad. 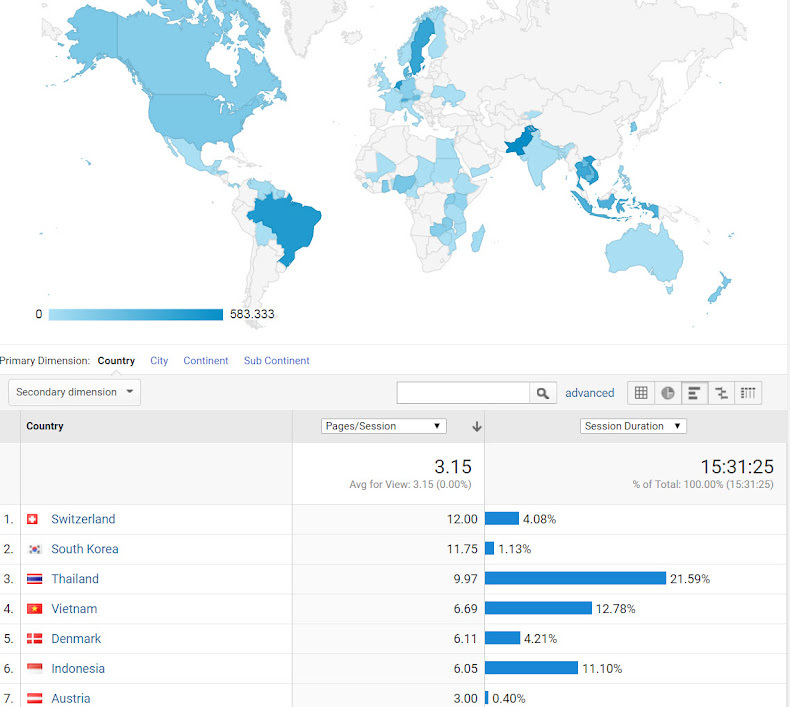 In addition, 13,448 staff were working as national personnel in the partner countries. Eighty per cent of GIZ's total workforce were working abroad. BMZ the German Ministry of Economic Cooperation and Development, which provides 90% of the GIZ budget, itself had only 1000 employees, with 120 posted overseas in 43 offices. Fourth to get details on the project topic, start date, the amount of money, the project officer responsible, with the contact email address. 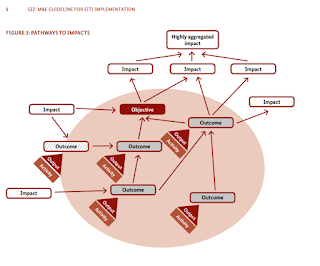 There are a number of documents produced by GIZ over the past 7 years, outlining slightly varying approaches to describing results. In some the sequence appears to be a standard version of the OECD/DAC results chain as described in a 2017 OECD synthesis of donor results based management, I reviewed in March 2018. 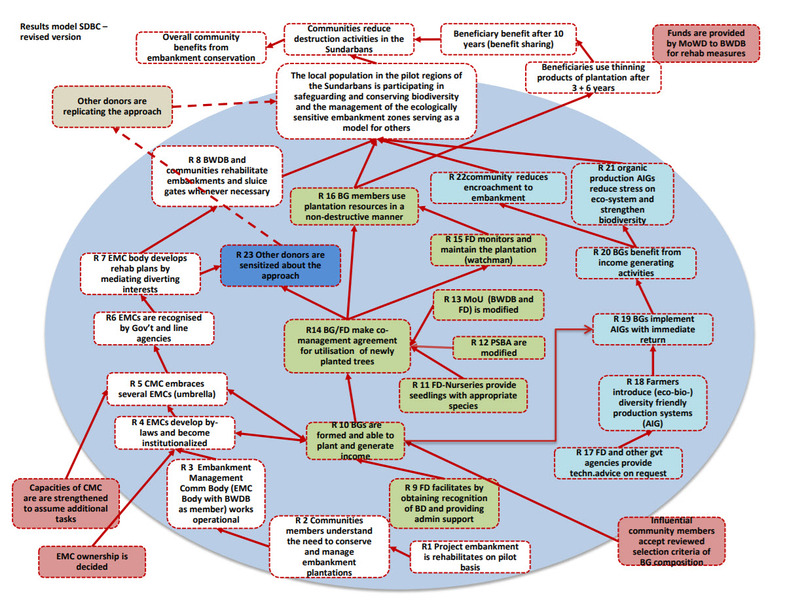 In some cases the Outcomes are disaggregated as Immediate and Intermediate Outcomes. 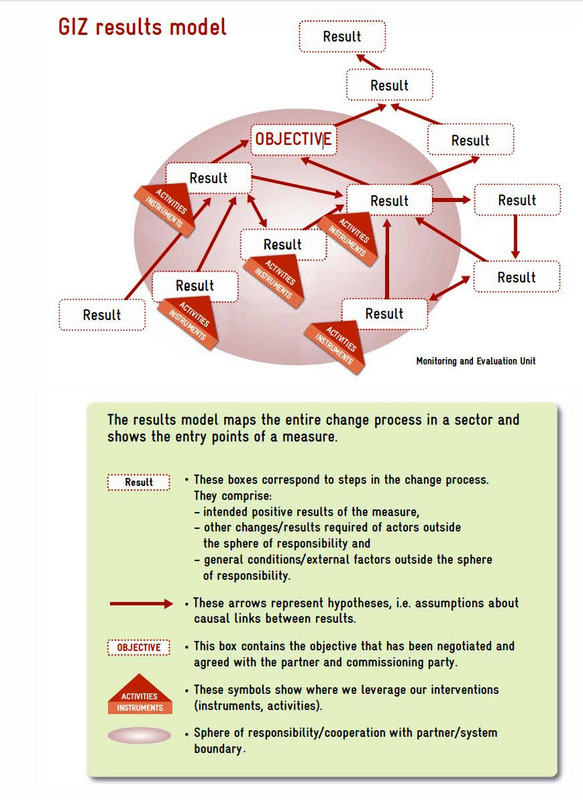 The most authoritative of the guides provided, one which appears to have set the basic framework for subsequent GIZ statements on results, is the 2014 Guidelines on Designing and Using a Results-Based Monitoring system (RBM system) (p. 7). 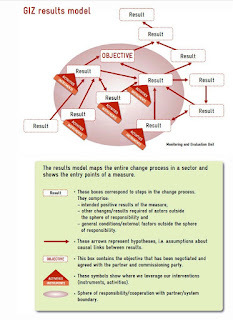 It essentially abandons the linear concept of results, and puts them in what is probably a more realistic, although somewhat confusing context as a series of interrelated activities, short term and long term results. 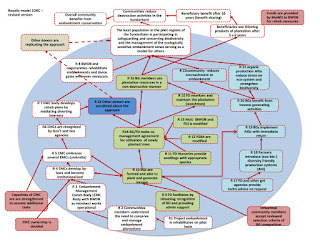 GIZ itself refers to this in the Results-Based Monitoring System Framework of Reference available from the Waginengan University's Managing for Impact.website, as “…a complex, non-linear results model that opens up a systemic view, as it maps the entire change process influenced by the development measure”. could be so complex as to discourage participants. 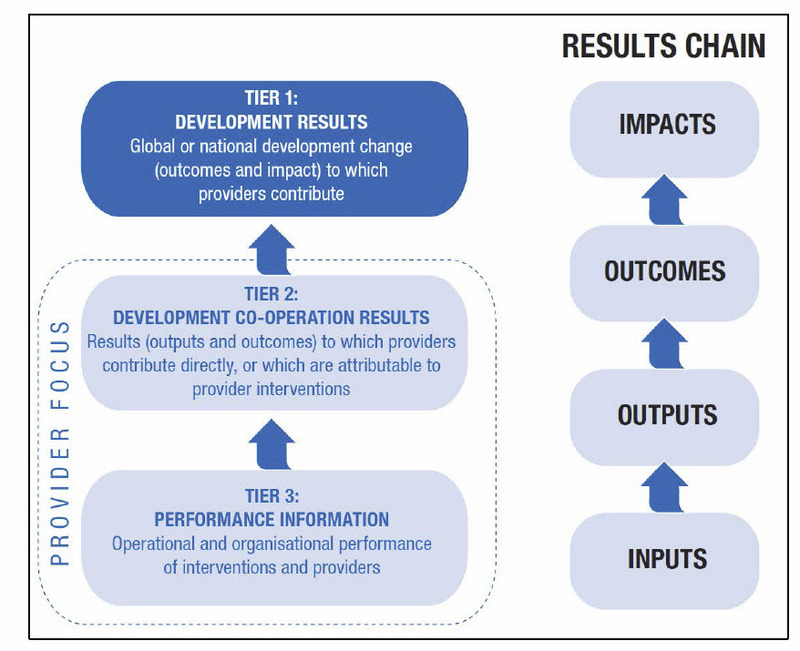 And, given the GIZ focus on results as changes, not just completed activities or Outputs, the flexibility on language and terminology means that in practice, in the field, the complex results model can be translated into something easier to work with, easier to use for developing indicators and for producing results reports. 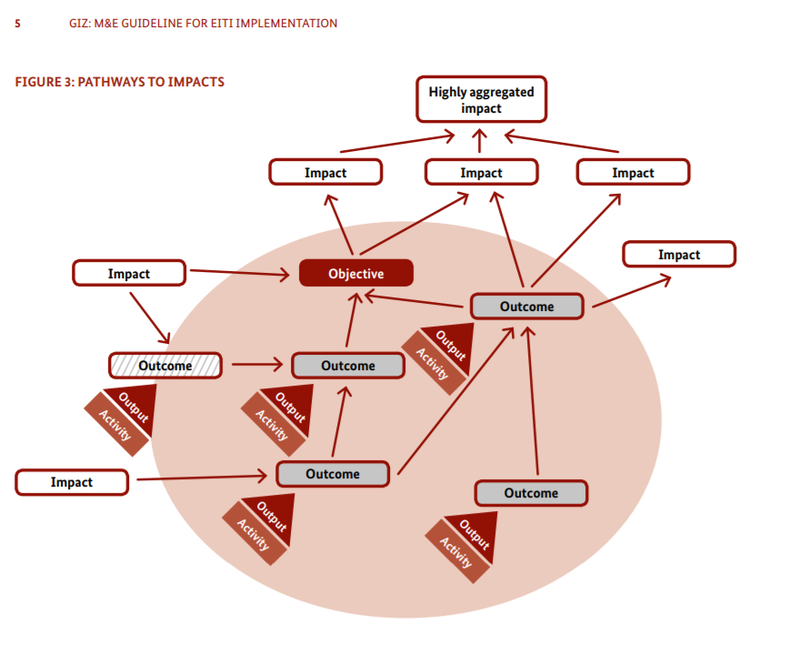 The abstract pathways to impacts diagram for the EITI M&E Guidelines above, for example, has produced a somewhat simpler generic draft results model, which is still under discussion. 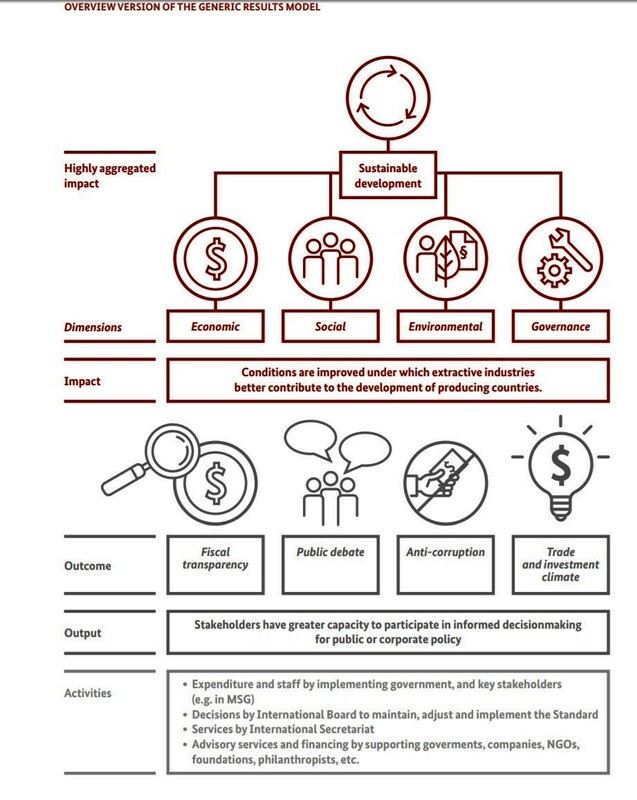 I have found that working on indicator development for a GIZ project, the framework provides no barrier to focused discussions with stakeholders, so in practice it is adaptable..
GIZ also has a fairly comprehensive and complex Excel tool for entering the results, indicators and progress to help them aggregate results agency wide. 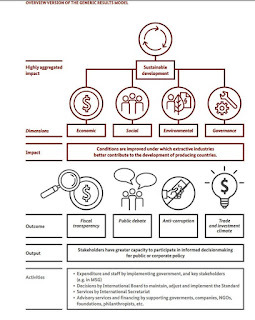 But most of the burden for using this appears to go on the shoulders of GIZ staff, not field project managers, and there are, in any case some detailed guides on how to use the tool for projects in different sectors. GiZ keeps a low profile, but it is a large organization with extensive reach in technical cooperation throughout the world, and despite an initial appearance of complexity, its approach to Results-Based Management is flexible, and relatively easy to work with. Greg Armstrong is a Results-Based Management specialist who focuses on the use of clear language in RBM training, and in the creation of usable planning, monitoring and reporting frameworks. 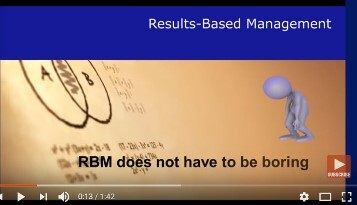 For links to more Results-Based Management Handbooks and Guides, go to the RBM Training website. Greg Armstrong brings what we know about how adults learn to helping international development workers use Results-Based Management in their work. If it is done right, it can be enjoyable, and productive, helping us explain our work to others.